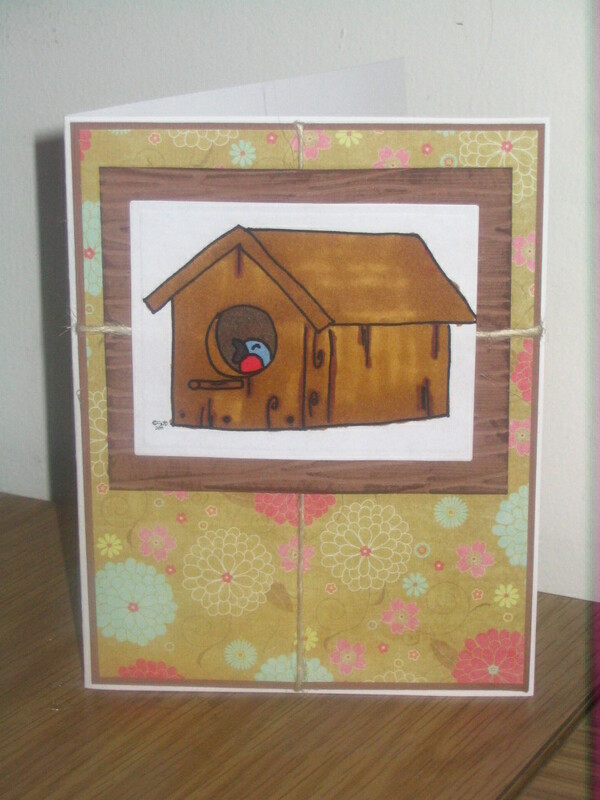 I must admit, I' m really very happy at the way this card came out. I made this card with two challenges in mind. The first one is a progressive challenge over at Stretch n' bubbles, every month they have a freebie on the first Wednesday. All you have to do is grab it, make a project with it and post it to your blog linking back to the SNB Shop. In return you will receive a second free digital stamp, you will have one week to do this. Repeat this process and you will receive a freebie each week. Everybody is a winner, how great is that! The second challenge is a sketch challenge this week over at Shirleys 2 Girls, they will have one winner for every 20 entries, up to a max of EIGHT winners. The winners will receive an S2G digi image of their choice from the S2G SHOP. This is super cute. Love the little birdy peeking out! that's a tweet, er sweet image. thank you for joining us in the TNT contest at Shirley's 2 Girls. 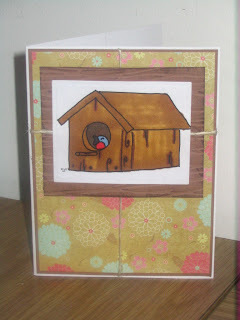 Love the colors on your cute card! Thanks for joining us at S2G this week! Love this card, love the paper, thanks for playing at S2G. I like the way you interpreted the sketch! Thank you for joining us this week for the Twisted Thursday Challenge/Contest at Shirleys2Girls!